Corgi Shepherds are the result of breeding between a German Shepherd and a Corgi. It’s also known as a Corman Shepherd. Corgi Shepherds are active and energetic with an overall sweet temperament, which also makes them good with kids, other pets, and humans. The mix is also known for being one of the lowest-maintenance pets around. 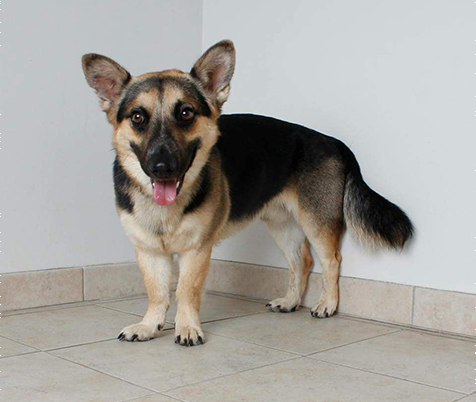 The Corgi Shepherd mix are an overall great mix. They bark very little (unless they sense a threat to their humans), they’re very easy to train, and they have a very sweet temperament that makes them great family pets even when there are other pets in the household!